The first app authorized by Customs and Border Protection to speed up travelers' entry process into the U.S. is now accepted at Dulles International Airport. WASHINGTON — If you’re returning to Dulles on an international flight, you can get some of the customs paperwork done while the plane is taxiing to the gate. Customs and Border Protection’s first authorized app to speed a traveler’s entry process into the United States, called Mobile Passport, is now accepted at 20 airports, including Dulles and BWI/Marshall. “It gives travelers the ability to submit their customs and arrival information upon landing, so all they have to do when they enter the inspection area is present their electronic receipt to the officer and go through the interview,” CBP’s Dan Tanciar told WTOP. The app was developed by Airside Mobile and Airports Council International-North America in partnership with CBP and is a free iOS or Android download. It does require a picture and some personal information to be transmitted upon your arrival. There is no preapproval or special requirements to use the Mobile Passport app. In addition to airports, CBP is adding acceptance of the app to seaports so it can be used by cruise ship passengers. All U.S. travelers, and some Canadian travelers are eligible to use Mobile Passport for U.S. arrivals. 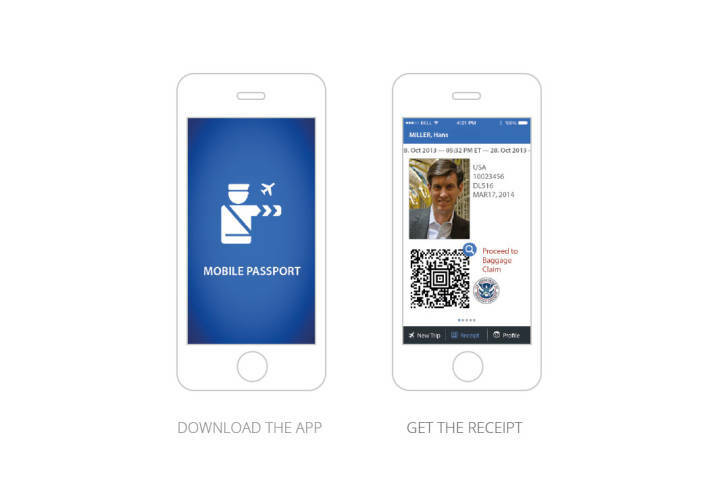 Learn more about the Mobile Passport.